Economy Minister, Paulo Guedes, criticized the current social security system which,'deepens social inequalities and contributes to unemployment'. 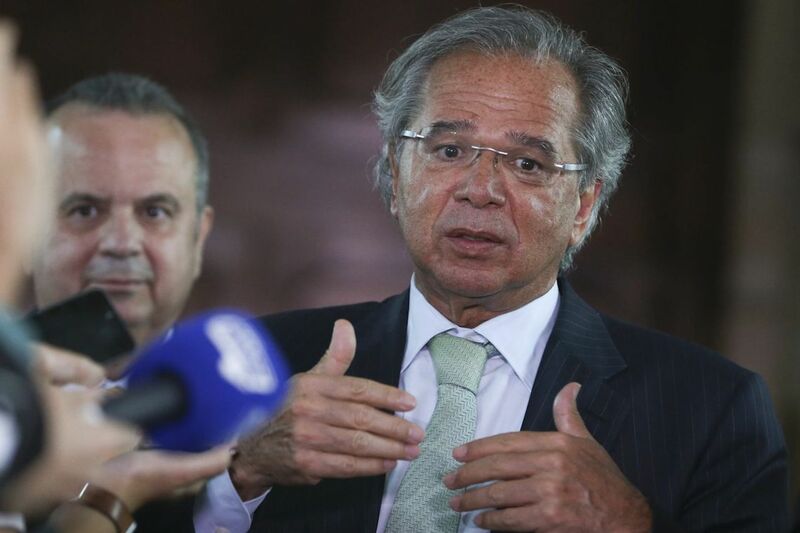 RIO DE JANEIRO, BRAZIL – Brazil’s social security reform proposal forecasts savings of least R$1 trillion over a period of ten years, announced the country’s Economy Minister, Paulo Guedes, on Tuesday. Economy Minister, Paulo Guedes talks to reporters about social security reform, photo by Valter Campanato/Agencia Brasil. “The idea is for it (savings) to reach at least R$1 trillion,” Guedes told reporters after meeting with the new heads of the Chamber of Deputies and Senate. “We simulated at fifteen, at twenty, at ten (years). The value of R$1 trillion is for ten years, but there are simulations in which it is R$1 trillion in fifteen years. That is what is being calibrated,” added the minister. Guedes also criticized the current social security system which, according to him, deepens social inequalities and contributes to unemployment. “Our challenge is not only to save old welfare system, but also to prevent it from being a perverse mechanism of income transfer, while at the same time freeing future generations from the trap in which these past generations, ours, have fallen, which has been to produce a system that worsens inequality and destroys jobs,” concluded Guedes. According to the official there are currently two to three proposals which will be given to President Jair Bolsonaro. One of them is to make contribution years and a minimum retirement age the same for men and women. President Bolsonaro has stated several times that he believes that women should have a lower minimum requirement age for retirement and should contribute less number of years. Analysts expect strong criticism from parts of society for the new social security reform bill, especially labor unions.